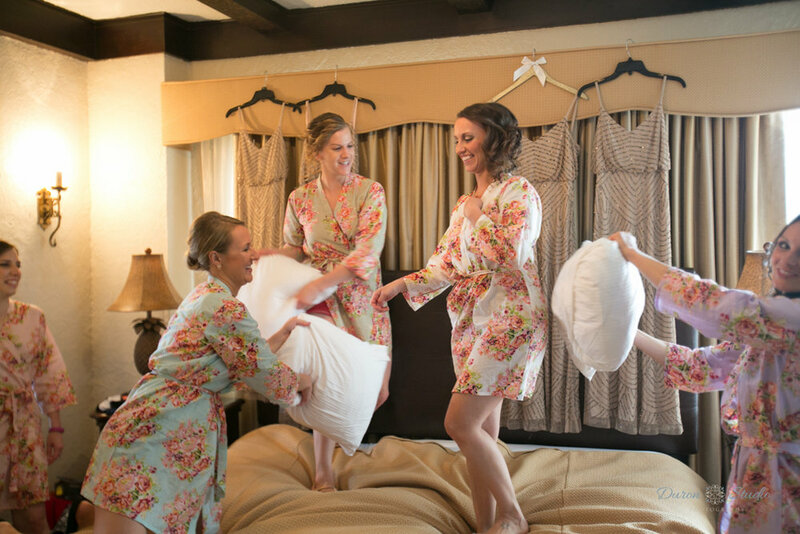 The day you've been waiting for has finally arrived…wedding morning excitement! 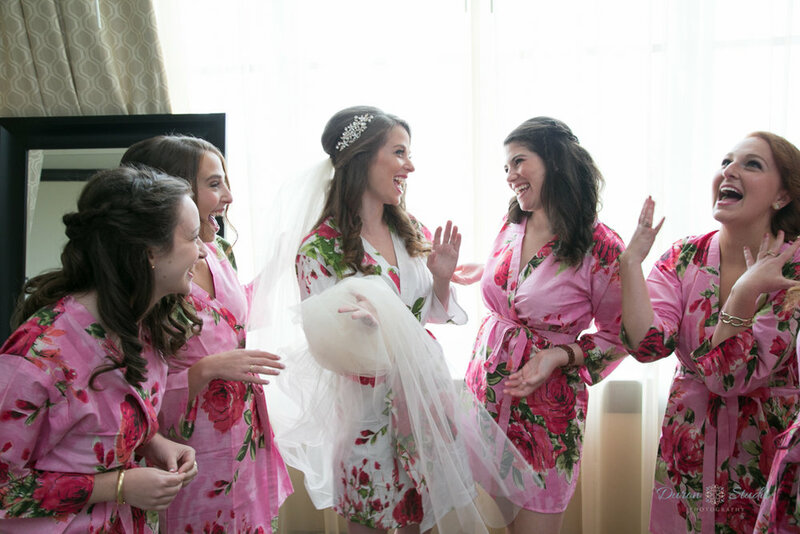 Let’s take a look at some moments that are a must while the bride is getting ready for her big day! 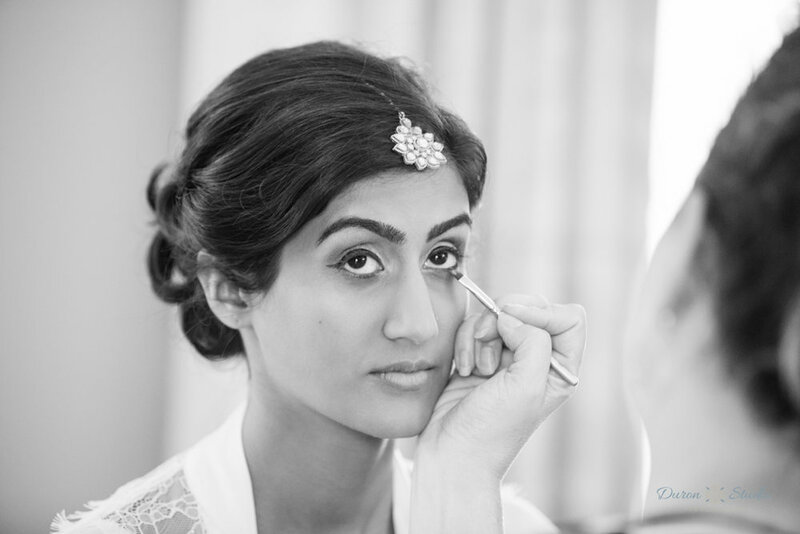 Photos of the bride and groom getting ready are often part of what the bride wants on the day of the wedding. Typically, the groom won’t care as much for these images unlike the bride to be! Have a plan before coming to photograph! The bride will most likely sit for close to two hours or so getting her hair and makeup done. There is no need to come that early so plan to arrive just as the final curls are being curled and the mascara is being applied. This is a great opportunity to showcase details and get some awesome candid shots that the bride will love! 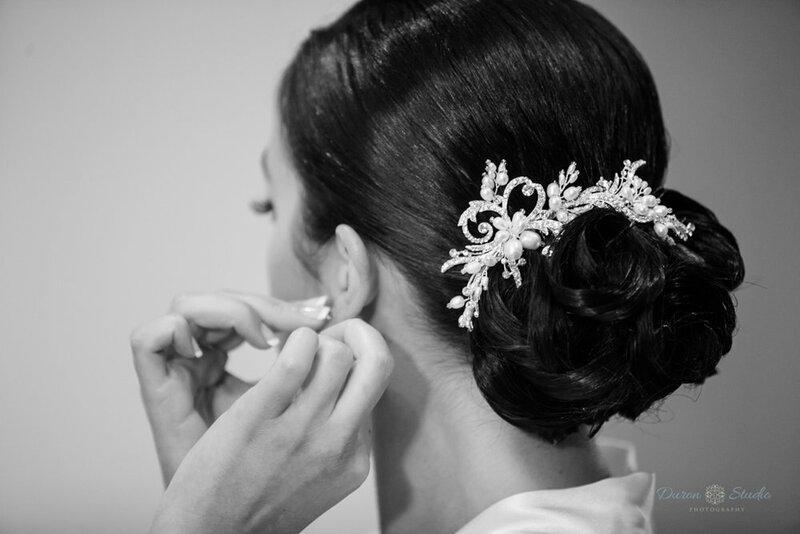 While the bride has her finishing touches added on (hair, makeup, nails, jewelry), take this time to photograph the details. When we say details, we really mean the rings, wedding dress and it’s hanger, the bridal and bridesmaid bouquets, the invitation, the shoes and any additional jewelry or wedding garter is they have one..
Getting ready for you wedding can be nerve-racking, stressful and most importantly…FUN! Getting married doesn't mean you can't still enjoy the silly, childhood pleasures in life. 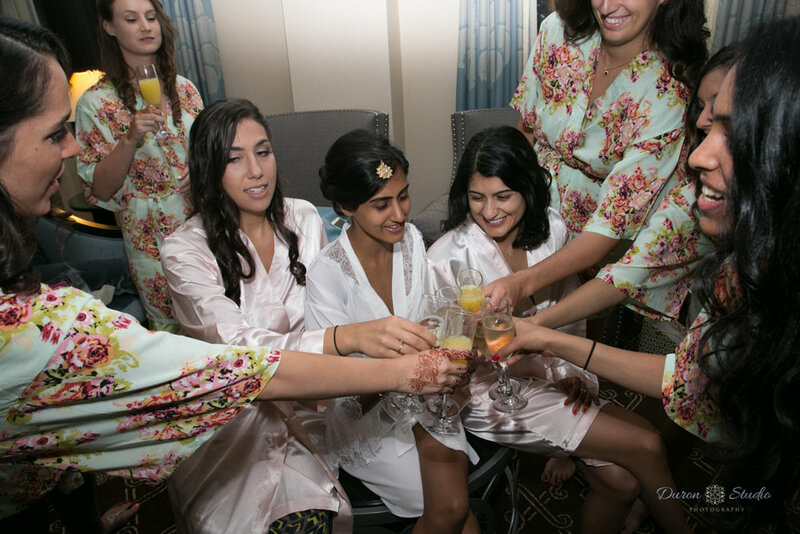 It’s important to capture the bride with her friends and family…drinking champagne…jumping on the bed…and just having fun with her bridesmaids. 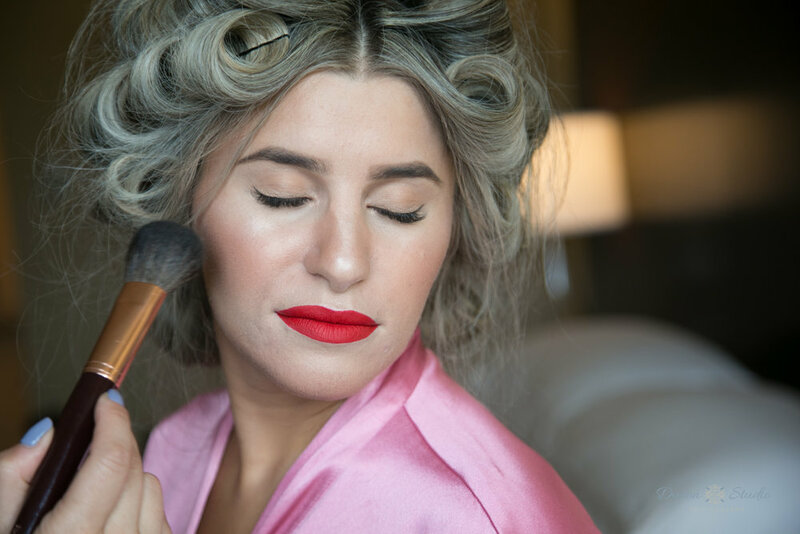 Now that the bride and her bridesmaid’s hair and makeup are done, it’s now time to put on that special wedding dress every bride has been dreaming about! A photo of the bride admiring her wedding dress can be a sweet addition to the "must-have" photography shot list. Photographing the dress alone is a big must and if the bride wants to give it a tight squeeze…why not! She has been waiting a long time to finally put her dream dress on so capturing that emotion can be super sweet and memorable. It’s now time to try on your dress…for real this time! It can be a fun idea to capture some images of the bride getting into her dress (without revealing too much) and of course, mom or other girlfriends, helping her tie the final knots before she walks down the aisle! Once the dress is on it’s go time! One of our favorite props to use are mirrors! They can really create a wonderful and unique image that the bride will surely love! Take a look at what we mean below. Once the bride is fully dressed, it’s important to photograph her around the venue if possible. The best photographs are both up close and detailed and of course, full body shots showcasing the dress! A mixture of formal portraits and candid moments are always a great option. And there you have it! If you would like to view more images, please visit our wedding galleries for additional work examples. We are available to travel both locally and world-wide to capture your special day! For more information, please give us a call (847.329.1099) or send us an email (info@duronstudio.com). We are looking forward to creating something magical with you. Newer PostHow Will My Day Look With You As My Photographer?